Do you know someone who just can't stand to be in a messy room? I once had a college roommate who was like that. I'd often leave a mess on my desk when I'd go to class, but he would always clean up behind me. I'd leave things in disarray again the next day and he'd clean up again. One day he stopped me as I walked out of our dorm room and he said to me, "What's wrong with you? Don't you know how to put things where they belong?" "Yeah," I admitted to him, "I know how to put things where they belong but I just have so many other things to do that I don't have time to do it." I can still remember his reply: "If you'll just take a few minutes to put things where they belong, you'll be surprised at how many more things you'll get done." Well, in many ways my friend's idea also applies to Christian theology. There are lots of Christians who think that there is just too much to be done for the cause of Christ to take time out to get their theology straight. Winning the lost, planting churches, teaching the Scriptures… There are so many things to be done. But the reality is that if we take the time to arrange our theology in a systematic way, we'll actually be able to get much more done in service to Christ and his kingdom. This is the first lesson in our series Building Systematic Theology . In this series we'll explore systematic theology or "systematics." Systematic theology is one of the main ways the Holy Spirit has led the Christian church to put its theology in order. We've entitled this lesson, "What is Systematic Theology?" In this introductory lesson, we'll explore a number of foundational issues related to the study of Systematic theology. Our lesson will touch on three main topics: first, we'll compare New Testament theology with Systematic theology. How are they similar and different? Second, we'll look into the historical developments that led to systematic theology. Where did it come from? And third, we'll look into the values and dangers of systematic theology. What are the advantages and disadvantages of this discipline? Let's begin by exploring the relationship between the theology of the New Testament and systematic theology. Beginning with the relationship between systematics and the New Testament is important because as followers of Christ we're committed to the unquestionable authority of Scripture, not to any other system of theology, however good it may be. All systems of theology other than the Bible reflect the imperfections of sinful human beings. So, from the outset we should be very interested in how Systematic theology compares to the Bible. In what ways is it like Scripture? In what ways is it different? To see the relationship between New Testament theology and systematics, we'll touch on two issues, first the contours of systematic theology and second, the contours of New Testament theology. Let's look first at the contours of systematic theology. Historically speaking, Systematic theology has been one of the most influential ways Christians have built theology. In fact, it would be difficult to find a follower of Christ anywhere in the world who has not been touched by systematics. When we speak of God as Trinity, that God exists in three persons who share the same one essence, we're depending on the work of systematic theologians; when we speak of Christ as one person who is fully divine and fully human, we are working with doctrines explained in systematic theology. When we use words like regeneration, faith, repentance, sanctification, and glorification, we're using terms that have been defined for us by Systematic theologians. Yet, as influential as systematic theology has been, most Christians today have only vague ideas of what it is. As you can imagine, theologians have defined this approach to theology in different ways. But we can grasp the central concerns of traditional protestant systematic theology by looking at a definition that comes from Louis Berkhof's well-known Systematic Theology , which he wrote in the middle of the twentieth century. Systematic theology seeks to give a systematic presentation of all the doctrinal truths of the Christian religion. This straightforward definition highlights three aspects of systematic theology: First, it concerns itself with "truth." Second, it attempts to present truth in a "systematic" fashion, according to the logical relationships between the different truths. And third, systematic theology is constructed within the context of the "Christian religion." These elements of Berkhof's definition will lead our discussion in three directions: In the first place, we'll look at the fact that systematic theology strives to be biblical by adhering to the truths presented in Scripture. In the second place, we'll see that systematic theology attempts to be logically coherent by constructing a system in which every biblical truth can be understood in relation to others. And in the third place, we'll consider the ways in which Systematic theology follows traditional theological emphases and priorities. Consider first the fact that Systematic theology must be biblical. The systematician must show that every part of systematic theology strikes its roots deep down into the subsoil of Scripture. Unfortunately, Christians have not always thought this way about systematic theology. In the place of anchoring systematics in biblical teachings, theologians have gone in at least three basic directions. Some theologians have seen systematics simply as rooted in church tradition or dogma. They see it merely as careful analysis of the teachings of the church throughout history. Other theologians have seen systematics primarily as rooted in religious experience; these theologians seek to bring systematic order to the religious imaginations and intuitions of human beings. Still other theologians have looked to philosophies that are foreign to the Christian faith as the soil out of which systematic theology grows. In effect, these theologians turn systematic theology into philosophy of religion. Now, everyone involved in systematic theology engages church tradition, religious experience, and philosophical considerations, to some degree. But in our lessons we'll define sound systematic theology as a discipline that is rooted ultimately in the teachings of Scripture. We're not seeking to ground our systematic theology in church tradition, religious experience, or philosophy. Like Christ himself we understand that all good theology, including systematics, must be biblical. Now that we have seen that Systematic theology strives to be biblical, we should consider Systematic theology's attempt to be logically coherent, organizing the teachings of Scripture into a systematic arrangement. As Berkhof's definition points out, this discipline seeks to make "a systematic presentation of all doctrinal truths." Or, as he elaborated elsewhere, "The systematician … seeks to combine doctrinal truths into a systematic whole." In this view, the job of a systematic theologian is to summarize Christian beliefs so that they form a comprehensive, orderly, even logical, system. Systematicians seek to make clear how the teachings of Scripture reveal a unified logical system of beliefs. In every age, many Christians have been satisfied to leave their beliefs relatively disconnected. We believe certain things about God. We believe other things about faith and salvation. We have other beliefs about ethics and morality. Although most Christians believe a large number of things, we often allow our beliefs to remain isolated from each other. By contrast, systematic theology places a high premium on displaying the coherence of Christian beliefs. Systematicians seek to take the bits and pieces of what the Scriptures teach and explain their logical relations to each other as consistently and comprehensively as possible. In fact, this is precisely why this discipline is called systematic theology. The goal is to display the system of theology taught by the Bible. In the third place, systematic theology tries not only to be biblical and logically coherent, but also to maintain continuity with traditional Christian concerns, focusing on doctrines that history has shown to be important for the church. Berkhof's definition addressed this matter by saying that systematics deals with doctrinal truths in terms of "the Christian religion." [The systematician] may not … proceed on the assumption that the doctrinal development of the past was one gigantic error, and that he must therefore begin his work de novo or brand new". In systematic theology, we seek to view doctrines in terms of the Christian religion, in terms of traditional theological emphases and priorities. So, systematics interacts not only with the Bible, but also with the main ways the Bible's teachings have been expressed by theologians throughout church history. This concern with traditional emphases explains why nearly every reliable protestant systematic theology follows the same basic structure. Following the central concerns of theological reflection that have developed through the centuries, systematicians usually organize the doctrines of Scripture in this way. They begin either with bibliology, the doctrine of Scripture, or with theology proper, the doctrine of God. Then they turn to anthropology, the doctrine of humanity, and focus especially on humanity's need for salvation. Then soteriology follows, the doctrine of salvation. Next, ecclesiology, the doctrine of the church, and finally, eschatology, the doctrine of last things. This basic order is characteristic of systematic theologies because systematicians get these priorities from the contours of traditional Christian theology. So, we can see at least three basic characteristics of systematic theology. Sound protestant systematic theologians seek to create theology that is biblical, logically coherent, and traditional in its emphases and priorities. Now that we have sketched the contours of systematic theology, we should turn to our next concern: the patterns of New Testament theology. Of course, good systematicians will give attention to the whole Bible, including the Old Testament, but in this lesson we'll limit ourselves to a comparison of systematic theology and the theology of the New Testament. In many respects, it's appropriate, as Berkhof suggested, to think of systematic theology as a tree rooted in the New Testament. This analogy is helpful in the first place because it reminds us that systematic theology draws its life from Scripture. Sound systematicians seek to make their assertions correspond as much as possible to the assertions of the New Testament. In this sense, good systematic theology is very much like the theology of the New Testament. But in the second place, much like a tree, systematics also extends out of and away from the soil of Scripture. That is to say, although systematics grew out of the New Testament, it grew into something very different from the New Testament. To see these differences we'll touch on four features of New Testament theology that distinguish it from systematics: first, the relative diversity of New Testament theology; second, the New Testament's pastoral character; third, the genres used to express New Testament theology; and fourth, the basic framework of New Testament theology. Let's begin by looking at the diverse vocabulary and categories we find in the New Testament. As we have seen, systematic theology is built around topics that have been discussed time and again in the history of the church. This long history has created a relatively uniform set of terms and categories that all systematicians tend to follow rather consistently. To be sure, different systematic theologians express themselves in different ways; they are not rigidly uniform. But systematics as a whole is highly standardized so that terms and categories are used in much the same way. The New Testament does not reflect such extensive homogeneity. There is much more diversity of terms and categories in the New Testament than in systematic theology. Now, we have to be careful not to overstate the case here. On many central and basic Christian issues, New Testament writers shared a common stock of vocabulary, concepts and structures of thought. It's not as if New Testament theology was so fluid that there was no uniformity at all. For instance, they all described God in very similar ways drawing from the teachings of the Old Testament. They all taught that Jesus was the Christ or Messiah and shared many complex beliefs about what this meant. They agreed on the basic meaning of terms like sin and salvation. The list of such basic commonalities is quite extensive. Yet, along with these commonalities, it's evident that New Testament theology was quite diverse. Different New Testament writers expressed their theology in different ways. One reason for their differences can be found in the doctrine of organic inspiration. The Holy Spirit guarded biblical writers from error and from contradicting each other, but he did not flatten the vocabulary and categories of New Testament writers so that they were uniform. Each biblical writer wrote from the perspective of his own background, his personality, and experiences. As a result, New Testament writers expressed the Christian faith in complementary, but different ways. This is why Paul's way of describing the Christian faith is not exactly the same as Luke's. John is different from Matthew. Mark is different from Peter. By comparison with the standard ways of putting things in systematic theology, New Testament theology is quite diverse. In addition to being more diverse, the theology of the New Testament is also much more pastoral than systematic theology. Systematic theology is constructed to be a logically coherent, comprehensive expression of the teachings of the Christian faith. It focuses especially on permanent, universal truths. And as a result, it often acquires an abstract, theoretical quality, focusing on things like God in himself and theories of the atonement, the sacraments and a host of other abstract issues. By contrast, the theology of the New Testament is much more pastoral. The writers of the New Testament expressed their theology in ways that addressed relatively specific needs in specific ways. Once again, we have to be careful not to overstate the case. New Testament writers also touched on timeless, abstract truths. But by and large their writings were much more concerned with addressing specific challenges that various believers faced in their day. For example, this pastoral focus explains why Paul's epistles are so different from each other. Had Paul intended to write a systematic theology he could have written just one letter. But the content and emphasis of his letters varied dramatically because each one addresses different needs in different churches. Without a doubt, the New Testament authors all possessed deep understandings of theology. But when it came to expressing their theology in the writings of the New Testament, they did not set out to explain these kinds of lofty notions. Instead, their goal was to pastor people by applying theology to real life situations. So, rather than focusing on logical explanations of doctrines, the writers of the New Testament focused on the real, practical needs of people, and on the ways that theology met those needs. And as a result, their theological writings looked very different from standard systematic theology. In the third place, New Testament theology is distinct from systematics because the New Testament expresses its theology in a variety of genres. The writers of the New Testament used many different literary forms and styles. Systematic theology is written in one basic genre: what we might call an extended essay or treatise. Nearly everything that appears in systematic theology is of this type of prose. By contrast, the theology of the New Testament is expressed in a variety of genres. Many different kinds of literature appear in the New Testament. 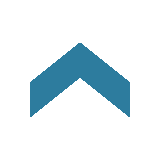 Broadly speaking, it contains two main genres of literature: narratives and letters. The Gospels and Acts are primarily narrative, and of course the rest of the New Testament is epistles or letters. And within New Testament narratives and epistles, we also find hymns, prayers, commands, accusations; personal appeals, visions, exhortations and many other kinds of literature as well. Yet, these genres appear rarely, if ever, in systematic theology. Many differences between the New Testament and systematic theology also appear when we compare their basic theological frameworks or structures, that is, the way they organize theology by relating doctrines to each other. Systematic theology typically follows a basic framework developed over centuries of church history. As we have already seen, almost all protestant systematic theologies are structured along these lines: The doctrine of Scripture, or the doctrine of God, comes first — anthropology, soteriology, ecclesiology and eschatology. Now, it should be plain to everyone familiar with the New Testament that New Testament writers touched on all of these topics. The New Testament teaches about Scripture, God, humanity, salvation, the church and the last days. But at the same time, it's very important to realize that unlike systematic theology, the New Testament is not organized or structured along these lines. Instead, like most Jewish theologians of the first century, New Testament writers largely structured their theology around the theme of the messianic kingdom of God. Centuries before Christ, Old Testament prophets revealed that God would punish the sinful nation of Israel with a long period of exile and Gentile tyranny. But the prophets also proclaimed that in the last days God would bring an end to Israel's exile and bring a new day of victory and blessing. And he would accomplish this through his Messiah, who would establish the final stage of God's kingdom on earth, bringing ultimate judgment against God's enemies and ultimate blessings to faithful Jews and Gentiles. By the time of the New Testament, the Jews had suffered the hardships of exile for generations, and as a result, the coming of the Messiah, and with him, the last stage of the kingdom of God, had become one of the most central concerns, if not the central concern, integrating all of Jewish theology. Jewish theologians were heavily preoccupied with questions like these: "When will the Messiah come?" "How will the Messiah bring the great Day of Judgment and blessing?" And, "How should God's faithful people live in anticipation of the Messiah?" These themes were also the central concerns of New Testament writers. New Testament writers built their theology around the final stage of God's kingdom and the Messiah. But they did this in a distinctively Christian way. Jesus and his apostles explained that the end of the exile and the arrival of God's messianic kingdom would not occur in the simple, straightforward way that most Jewish theologians expected. One of the primary goals of New Testament writers was to explain that the transition from this age of exile and sin to the messianic kingdom of God was going to involve a complex and extended process. According to the New Testament, Jesus inaugurated the end of the exile and the beginning of the messianic kingdom while he was here on earth. One day Christ will return and bring the kingdom to its glorious consummation of final judgment and blessing. But in the meantime, the age of exile and the age of the messianic kingdom of God exist side by side. New Testament writers structured everything they believed according to this basic framework. For instance, they did not explain God in abstractions, they were primarily concerned with explaining how God acted in the age of sin, how he acts now during the overlapping of the ages and how he will act in the age to come. They did not offer theoretical discussions of the doctrine of Christ. Instead, they explained who he was in terms of the beginning of the kingdom, the time of continuation and the consummation. The Holy Spirit was also described in these three stages as "the one who had come," "the one who now empowers the church," and "the one who will one day fill all in all." Even the doctrine of salvation was framed by this conceptual model. Salvation was something that had already been accomplished, but it was also being accomplished during the continuation of the kingdom and it would be fully accomplished when Christ returns in glory. In this sense, the basic framework of New Testament theology is very different from the basic framework of systematic theology. So we can see that a comparison of systematic theology and New Testament theology reveals similarities and contrasts. Systematic theology is rooted in the Scriptures; all its assertions or theological claims must be true to the Bible, affirming the same doctrines and facts. In this sense, the two are very similar. But at the same time, there are also important differences between systematics and the theology of the New Testament. Now that we have explored the relationship between the New Testament and systematics, we're ready to discuss our second topic: the development of systematic theology throughout the history of the Christian church. As we have seen, systematic theology is different from New Testament theology in many significant ways. But, these differences raise some serious questions: "Why have Protestants, who are so committed to the Scriptures, endorsed a theological system that is so different from the New Testament?" "How did systematics become one of the most highly respected ways faithful Christians construct theology?" We can summarize the matter in this way. Systematic theology came about through a long process of the church responding to and ministering in a changing world. As Christianity spread from Jerusalem to other parts of the world, Christian theologians had to respond to a variety of changes and challenges. And they did this in part by finding new ways to explain and apply the Bible's teachings. Eventually, the strategies they employed grew into systematic theology. Notice something here: Jesus did not say, "Go therefore and read the Bible to all nations." Now, the public reading of Scripture is an important part of the church's mission, but this is not what Jesus commanded us to do in the Great Commission. To fulfill his commission, we are to "teach" his word, to teach the Scriptures. In other words, we are to find ways to communicate the truth of Scripture, and this always involves some measure of shaping and explaining what we find in the Bible so that others around us will be able to understand. It's out of a desire to teach, to communicate effectively, and to fulfill the Great Commission that systematic theology came into being and continues today. We'll briefly describe three major historical developments that led to systematic theology as we know it today: first, patristic theology, which ran roughly from AD 150 to AD 600, and began the move toward systematics; second, medieval theology from roughly AD 600 to AD 1500, when approaches to theology were developed that were immediate precursors to systematics. And third, protestant theology, the ways Protestants from AD 1500 to our day have constructed systematic theology. Let's begin with some of the earliest movements toward systematics after the time of Christ and his apostles during the patristic period. To understand this first major step toward systematics, we'll touch on two issues: First, the cultural changes experienced by the church during the patristic period; and second, the theological changes that resulted from these shifts in culture. Let's consider first the cultural changes that took place in the patristic period. One of the greatest changes that the early church faced after the time of the apostles was a movement of the center of Christianity from its home in Palestine to a new home in the Gentile world. This change was so decisive that Gentiles, rather than Jews, became the leading theologians of the church. This transition of leadership led to very significant changes in the ways Christians constructed theology. As Gentile theologians sought to minister the gospel in their Gentile world, they began to explain and defend their faith in ways that were relevant for the Greco-Roman culture at that time. They began to describe Christianity in terms of the Hellenistic philosophies of their day. Interestingly enough, Christians weren't the first ones to bring Scripture into meaningful contact with Hellenistic culture. Centuries before Christ, countless Jews had been scattered throughout the Gentile world. As they lived their Old Testament faith in that world, Jewish missionaries or proselytizers attempted to reach across the gap between Judaism and the Gentile world. Now as these Jews reached out to Gentiles, they took two paths that Christians after them followed. On the one hand, many Jews Hellenized their faith so much that they fell into syncretism. They inappropriately mixed true Old Testament faith with pagan beliefs and practices. One of the best known examples of such syncretism appears in the writings of Philo of Alexandria who lived from 30 BC to AD 50. Philo sought to minimize the differences between Old Testament faith and Gentile intellectual culture by treating the books of Moses as allegory and by arguing that his Jewish faith was respectable because it was harmonious with classical Greek philosophy. At the same time, however, many Jews during these centuries found ways to minister legitimately in their Hellenistic cultures without seriously compromising their biblical faith. One great example of this kind of ministry was the creation of the Septuagint, the Greek Old Testament. Greek versions of the Old Testament were translated in synagogues throughout the Mediterranean world so that Jews and Gentiles unable to understand Hebrew would have access to the Scriptures. During the patristic period Christian theologians went in these two directions as well. On the one side, many church leaders fell into Christian syncretism because they went too far in their attempts to Hellenize New Testament faith. They mixed true Christianity with pagan beliefs and practices. Some forms of syncretism had already risen in the New Testament church, but during the patristic period a number of well-known unorthodox sects such as Ebionism, Basilidism, and Gnosticism developed in Christianity. On the other hand, while orthodox Christian theologians resisted syncretism they nevertheless found legitimate ways to minister in their pagan world by interacting with Hellenistic worldviews around them. As these true believers carried out Christ's commission to reach all nations, they expressed their theology in terms of contemporary philosophical and religious outlooks without compromising biblical truth. With these cultural shifts in mind, we should take a look at some of the ways authentic Christian theology changed to meet the challenge of ministry in the gentile world during the patristic period. What were the general theological tendencies that emerged at this stage of Christian theology? During the patristic period, the dominant philosophical and religious stream in the Mediterranean world was an outlook commonly known as Neo-Platonism. The term "Neo-Platonism" covers a great variety of outlooks, and represents a broad religious philosophy. It is called Neo-Platonism because it was rooted in the teachings of Plato, but also included new ideas introduced by philosophers such as Plotinus, who lived from AD 203 to 279. Although this religious philosophy was complex, we can summarize its central themes in terms of three issues: dualism, rationalism and mysticism. In the first place, Neo-Platonism was dualistic. It taught a fundamental antithesis between the spiritual and material realms. In Neo-platonic dualism pure spirit was considered good and pure matter was considered utterly evil. Although God himself was thought to be above both the spiritual and material realms, in his goodness God spread his divine Intellect, his Light or Logos into the spiritual and material worlds. This divine force emanated from God and flowed throughout reality, bringing degrees of order and form, beginning first in the spiritual realm and then moving downward into the material world. This dualistic outlook had certain implications for the ways human beings were to live. People were said to be born in the material world, even imprisoned in the physical realm. But Neo-Platonism taught that the highest good for human life was to seek God by eliminating all attachments to the material world. This notion of breaking with the material world in pursuit of God brings us to rationalism as the second emphasis of Neo-Platonism. As people sought to overcome their imprisonment in the material world they were to begin by focusing on human reason, the spiritual and intellectual capacity within each of us. Through careful reasoning and reflection, people could make great strides in lifting themselves beyond the evil matter that entangled them. As important as rational reflection was, it was just the beginning for the truly virtuous person. Neo-Platonism called people to go beyond human reason and into mysticism. To reach full separation from matter and complete union with God, people had to move beyond their own human intellectual powers and to reach the heights of God himself. Because Neo-Platonists believed that God is beyond all, transcendent even over human reasoning, in the end human beings could have union with God only as they received mystical revelation that went far beyond mere human reflection. This spiritual ecstasy was supposed to come about by the inspiration of the divine light and word emanating throughout creation. And it was said to result in utter union with God, supreme happiness, the grand fulfillment of human destiny. These philosophical and religious concepts were so prevalent in the Mediterranean world during the patristic period that faithful Christian theologians could not avoid interacting with them. In fact, many of their theological discussions were framed in terms of Neo-platonic beliefs. Many of these efforts were quite legitimate. For example, the great ecumenical councils of the early church such as Constantinople and Chalcedon expressed biblical beliefs with Neo-platonic perspectives. Well-known leading Christian theologians such as Clement of Alexandria, Origen, and even Augustine, also expressed themselves in terms that were familiar to Neo-Platonists. Faithful Christian theologians in the Patristic period did not allow their attention to Neo-Platonism to supplant their basic commitments to the true gospel. They held strongly to biblical truth. But their awareness of Neo-Platonism did help them explain the Scriptures in ways that they and their contemporaries could understand. And by interacting with their cultures in these ways, they promoted the gospel, built the church, and brought many unbelievers to a saving knowledge of Christ. There are many ways we could summarize the influence of Neo-Platonism on patristic theology. But for our purposes, we will point to three characteristics of patristic theology that parallel our summary of Neo-Platonism: the spiritual priorities of patristic theology, the importance of reason, and the importance of mysticism. Let's consider first the priorities of patristic theology as they were influenced by Neo-Platonism. Priorities. You will recall that one characteristic of Neo-Platonism was dualism between the spiritual and physical realms. Patristic theology responded to this dualism by organizing and presenting the Bible's teachings in a way that gave priority to spiritual rather than mundane concerns, an approach to theology that we will call "theology from above." In a word, theology from above is theology that gives first place to higher spiritual reflection over reflection on lower, more earthly matters — reflections on God and his ways: "What is the essence of God?" "What are his attributes?" "What is the unity of God?" "What is the Trinity?" These concerns were much more prominent in patristic theology than reflection on the human condition and life in the physical world. These priorities became a hallmark of patristic theology. In the second place, Christian theologians gained a heightened appreciation of the importance of reason in theology, focusing on logical reflection as a primary tool for theology. Reason. As we have seen, one of the chief values in Neo-Platonism was the belief that human beings have a duty to employ human reasoning to rise above the material world. In response to Neo-Platonism's emphasis on intellectual reflection, early fathers of the church also began to emphasize intellectual reflection in Christian theology. Leading Christian theologians focused more than ever on the careful rational exploration and explanation of Christian beliefs, so that many doctrines that the New Testament left unspecified and unexplored became the objects of rational reflection. For instance, New Testament theology allowed doctrines like the Trinity to remain largely unexplained; New Testament writers did not address the details of the relationships between the persons of the trinity. But, in the patristic period, theologians used logical analysis to explain what New Testament writers believed about the Trinity, even though the biblical writers had not stated their views explicitly. In response to false teachings about God the father, the son and the Holy Spirit, early church fathers devoted themselves to careful distinctions through rational reflection, working out as many details left untouched in the New Testament as they possibly could. In this way, applying reason to theology became an important value for theologians as they ministered in their Neo-platonic world. In the third place, patristic theology also focused on mysticism, or transcendent spiritual enlightenment, in response to Neo-Platonism's emphasis on mysticism. Mysticism. As we have seen, in Neo-Platonism careful reasoning through attention to the human mind was merely a stepping stone to higher, mystical levels of union with God. Reason was limited and could not grasp higher spiritual realties and reaching these higher levels required special illumination. In a similar way, when early Christian fathers expounded doctrines such as the Trinity, or the divinity and humanity of Christ, or the sacraments and the church, they often confessed that some elements of these doctrines were beyond human reason. Frequently, their rational discussions were coupled with acknowledgments that the higher truths of the Christian faith simply could not be explained or defended rationally. Instead, they could only be apprehended through mystical enlightenment, through supernatural experiences that exceeded the reaches of human rationality. Patristic theology employed reason in service to God's revelation, but it leaned more heavily on spiritual intuition than on logical proof. So it is that as theologians of the patristic period faced the challenges of teaching, exploring and defending Christian theology in their Gentile world, their strategies and emphases shifted. These shifts toward the priority of the spiritual over the physical, or theology from above, the use of rational analysis and reliance on mysticism set a course for the church that would eventually lead to what we know today as systematic theology. Now that we have seen how theologians began to explain Christian theology to their Hellenistic culture during the patristic period, we should turn to medieval theology, when Christians more consistently applied Hellenistic views of human rationality and logic to Christian theology. We'll be concerned with a theological movement, often called "scholasticism," that developed roughly from AD 600 to AD 1500. Our exploration of scholasticism will resemble the way we looked at patristic theology. On the one hand, we will look at the cultural changes that gave rise to scholasticism. And on the other hand, we'll explore some of the theological changes that resulted. Let's think first about the cultural shifts that took place during these centuries. To begin with, we should point out that the term "scholasticism" derives from schools of higher learning in early medieval Europe. In those schools lecturers in dialectic, normally called "logic" in the modern age, were known by the Latin term scholasticus. Largely, these lecturers taught Aristotle's logic. Consequently, the term "scholastic" came to be applied to philosophy and theology that depended heavily on the principles of logic in Aristotle's philosophy. Scholasticism resulted from one of the most important cultural shifts that took place in the medieval period. This shift occurred when the intellectual communities of the Mediterranean world turned away from Neo-Platonism and toward the philosophy of Aristotle. And as a result of this shift, leading Christians had to adapt the ways they explained and defended Christian doctrines to Aristotelian philosophy. Of course, this shift toward scholasticism took place over hundreds of years, and there was much resistance to it, especially from Christian mystics. But by the time of Albertus Magnus, or "Albert the Great," who lived from around 1206 to 1280, and his well-known disciple Thomas Aquinas, who lived from around 1225 to 1274, scholasticism represented the dominant form of Christian theology. Just before the reformation, the mainstream of Christian theology was deeply attuned to the philosophical viewpoints of Aristotle. Now that we have looked at some of the cultural changes that gave rise to Scholasticism, we should turn to some of its basic characteristics. What marked scholasticism as a major approach to Christian theology? Although there are many similarities between patristic and scholastic theology, there is at least one crucial difference. On the whole, patristic theology maintained that the greatest theological insights come through mystical inspiration. But scholasticism was highly rationalistic, stressing the value of logic in exploring, explaining and defending all of theology. The physical and spiritual worlds, and even God himself, were to be analyzed through the careful application of logic. Scholastics were well-schooled in Aristotle's writings on logic, physics, and metaphysics, and sought to accommodate the presentation of Christian theology to this rational worldview. And for this reason, to understand medieval scholastic theology, we need to have some understanding of Aristotle's views on logic. Time will only allow us to mention four aspects of Aristotle's views on logic that influenced scholastic theology: first, the importance of precise terminology; second, the necessity of propositional reasoning; third, the value of logical syllogisms; and finally, the priorities of rational analysis. Terminology. In the first place, Aristotle understood that the success of rational, logical reflection depended on the terms we use and how carefully we define them. Now, definitions were important to Neo-Platonists and patristic theologians as well. But Aristotle was much more concrete in the way he handled these matters. Based on his views of physics and metaphysics, he described logical, even early scientific ways of classifying items by defining the essence or substance of a thing and its accidents or non-essential features to distinguish anything under consideration from all other things. Correspondingly, in order to communicate clearly with their Aristotelian culture, scholastic theologians also defined theological terms as precisely as possible. Objection 1. It seems that God is not infinite. For everything infinite is imperfect … because it has parts and matter … But God is most perfect; therefore He is not infinite. To answer this objection, Aquinas focused on issues of definition. Listen to how he responded. Now matter is perfected by the form by which it is made finite; therefore infinite as attributed to matter, has the nature of something imperfect; for it is as it were formless matter. Notice how Aquinas used several technical terms in this brief passage. He used terms such as "matter," "form," "formless," "finite," "infinite," "perfected" and "imperfect." And he used these terms in ways that were understood in his day because they corresponded to Aristotle's use of such terms. Consequently, Aquinas was able to make fine distinctions between his views and the views of others. This focus on precise definitions of terminology was characteristic of scholastic theology. As a result of this focus, scholastic theology was rife with technical terms. Scholastics developed extensive specialized vocabulary for Christian theology. And this is important to us because many of their terms have continued to be used in Christian theology throughout the centuries. Besides inspiring scholastic theologians to emphasize precise terminology, Aristotle's work on logic also motivated them to give a central role to propositions in communicating theological truth. Propositions. In their simplest forms, propositions are assertions of fact formed by a subject and a predicate. We use propositions all the time in daily speech. Consider the sentence, "I am a man." In this proposition, "I" is the subject and "am a man" is the predicate. And we're all familiar with propositions in theology, such as "Jesus is the son of God." Propositional assertions of fact like these were essential to scholastic theology as it was shaped by Aristotle's analysis of logic. Aristotle focused much attention on how logical reasoning operates with propositions. In his view, logic does not operate with expressions of intuitions or emotions, poetry or symbolism, riddles or prayers. Logic is concerned primarily with statements of fact. Only with properly formed propositions can we use logic to analyze a topic. In line with Aristotle's emphasis, scholasticism worked hard to express its formal theology in propositions. Now, on a less formal, less academic level, scholastic theologians understood that the Christian faith had to involve other kinds of expressions. Many scholastics were very pious and expressed their religious convictions in poetry, hymns, prayers, and the like. But in sophisticated, academic contexts, theological beliefs were presented in carefully constructed propositions, assertions of facts. To illustrate the centrality of propositions in scholastic theology, we'll turn again to Aquinas' Summa Theologica . Listen to his discussion in the chapter entitled "Whether the Knowledge of God is Self-Evident?" Objection 1. It seems that the existence of God is self-evident. Now those things are said to be self-evident to us the knowledge of which is naturally implanted in us, as we can see in regard to first principles. But as Damascene says (a reference to John Damascene of the eighth century) "the knowledge of God is naturally implanted in all." Therefore the existence of God is self-evident. Aquinas responded to this objection in this way. No one can mentally admit the opposite of what is self-evident; as the Philosopher (a reference to Aristotle) states concerning the first principles of demonstration. But the opposite of the proposition "God is" can be mentally admitted: "The fool said in his heart, 'There is no God'" (Psalm 53:1). Therefore, that God exists is not self-evident. As we would expect, this passage refers to Aristotle's technical meaning of what is self-evident as an idea that "no one can mentally admit the opposite of." But beyond this, we see that Aquinas responded to his objector with propositions. He did not break forth in praise or lament. He did not scold or threaten his opponent. Instead, he consistently responded with propositions. What we see here in Aquinas was characteristic of scholastic theology in general. Scholastics restricted their formal theological discussions almost entirely to propositions. They reasoned through theological issues by setting carefully defined terms in well-formed statements of fact. This feature became so central to formal Christian theology that even in our own day propositions remain the crucial to systematic theology. A third way that scholasticism interacted with Aristotle's reflections on logic can be summarized under the category of syllogism. Syllogisms. In a word, a syllogism is a logical argument in which propositions are arranged to form premises and conclusions. By way of illustration, one well-known syllogism often taught in elementary logic textbooks goes something like this: Premise One: Socrates is a man. Premise Two: All men are mortal. Conclusion: Therefore, Socrates is mortal. Aristotle spent much time identifying how propositions can be ordered into arguments that lead to certain kinds of conclusions. He explored the so-called "laws of logic" like the law of identity, the law of non-contradiction and the law of excluded middle, as well as a variety of valid rules of inference, the ways we can rightly or logically infer different kinds of conclusions from different kinds of premises. No one can mentally admit the opposite of what is self-evident … But the opposite of the proposition "God is" can be mentally admitted: "The fool said in his heart, 'There is no God.'" Therefore, that God exists is not self-evident. The syllogism presented here can be expressed in this way. Premise One: No one can mentally admit the opposite of what is self-evident. Premise Two: The opposite of "God is" can be mentally admitted. Conclusion: Therefore, that God exists is not self-evident. This passage is just one example of how Aquinas explored and defended his theological positions with carefully constructed syllogisms. And his treatment of this topic was typical of medieval scholasticism. In fact, this kind of focus on syllogism remains a central feature even of systematic theology in our day. In addition to a focus on technical terms, reliance on propositions and logical syllogisms, scholastics also demonstrated the influence of Aristotle by the priorities of their theology. Priorities. Aristotle applied reason to the task of analyzing reality in terms of a static, rational, hierarchy. He looked at everything as having a place in a vertical rational order. In his view, all things belonged somewhere on a scale between manifold and imperfect matter at the low end, and pure unified and perfect form at the high end. And he believed one of the tasks of philosophy was to identify where every bit of reality fits within this rational order. In very simple terms, God himself was at the top of the scale. He is the first principle, the uncaused cause of all things. God is pure unity, pure form, pure being. Angels stand one step beneath God. Human beings are placed beneath angels because they are spiritual and physical. Various forms of animal life take their place below humans; plants are next; inorganic materials follow; the four basic elements of air, fire, earth and water underlie inorganic materials; and prime matter is at the bottom of the scale. In order to communicate with their Aristotelian cultures, scholastics tried to explain their theology in terms of this Aristotelian model. They rigorously structured their doctrinal summaries in the order of theology from above. That is to say, they tended to begin with and emphasize Christian teachings that paralleled the higher levels of Aristotle's hierarchy and then they worked their way down to the teachings that paralleled the lower levels of Aristotle's scale. All the time, they sought to make clear the intricate rational order that permeated their theology from above, explaining how each part fit with every other part. This tendency toward theology from above can be seen rather plainly in the structure of Thomas Aquinas' Summa Theologica . Part One of his Summa begins with an introduction and then moves directly to the topic of highest priority in scholastic theology: The One God. Then Aquinas moved to The Blessed Trinity. Next, he focused on Creation, a chapter that still concentrated on God as the first cause of all things. Then Aquinas moved to the greatest of creatures: The Angels. Next, he discussed The Six Days of creation which dealt with the physical creation below angels. Then there is a chapter on Humanity, the spiritual and physical creature. And finally, Aquinas closed part one of his Summa with God's Government of Creatures including those things that are merely physical. The Aristotelian priorities reflected in Aquinas' Summa Theologica characterize the general strategy of scholasticism. And this tendency has characterized formal Christian theology for centuries, even in modern protestant systematic theology. Now that we have seen some of the ways Christian theology shifted from the patterns of the New Testament toward Hellenistic ways of thinking — first toward Neo-platonic dualism in the patristic period, and then toward Aristotelian rationalism in the medieval period — we should turn our attention to the ways protestant theology compares with these developments. There are so many ways to look at protestant theology that we must limit ourselves to a small sampling. We'll look at three stages in protestant theology: first, the theology of the early reformers of the 16th century; second, the classical protestant confessions; and third, modern protestant systematic theology. Let's begin with the theology of the early reformers. The goal of early protestant theology was to reconstruct Christian theology according to the content of Scripture. Martin Luther and John Calvin, for instance, were deeply committed to reasserting the Bible's authority in theology. They countered the challenges of Roman Catholicism and radical Anabaptists primarily by delving directly into the Scriptures. And as a result, neither Luther nor Calvin wrote anything that directly corresponds to modern systematic theology. Instead, it fell largely to Luther's protégé Philipp Melancthon and Calvin's follower Theodore Beza to systematize early protestant theology. Even so, many of the characteristics of patristic and scholastic theology do appear in the writings of the early reformers. By way of example, consider Calvin's well-known Institutes of the Christian Religion . The Institutes were written in the first place to defend Protestants against the charge of heresy. But in defending the views of Protestants, Calvin reflected significant affinities for building theology in ways that had developed during the centuries prior to the reformation. Now, it would be unfair to say that Calvin simply followed the patterns of patristic or scholastic theology. Nevertheless, in the Institutes he displayed a significant concern with Aristotelian logic in the ways he employed technical terms; expressed his theology largely in propositions; constructed syllogisms to reason through issues; and patterned his theology according to the priorities of theology from above. Time will not allow us to demonstrate each element in Calvin's work, but we can easily see his endorsement of reason as a central tool in theology and how he followed the priorities of theology from above. On the one hand, listen to the way Calvin affirmed the advantages of studying dialectic or logic, even as it was developed by unbelievers. In Book Two, chapter 2 of the Institutes , he wrote these words. But if the Lord has been pleased to assist us by the work and ministry of the ungodly in physics, dialectics, mathematics, and other similar sciences, let us avail ourselves of it, lest, by neglecting the gifts of God spontaneously offered to us, we be justly punished for our sloth. In line with this endorsement of dialectics or logic, Calvin's writings frequently displayed not only a concern for what the Scriptures teach but also for expressing those biblical teachings in ways that corresponded to the standards of Aristotelian logic. On the other hand, on a large scale Calvin's Institutes also reflect the priorities of theology from above in ways that closely reflected the structures of medieval theology.  The Institutes divide into four books: the first book deals with the Knowledge of God as Creator. In this book Calvin described God in himself and God as the sovereign creator and controller of the universe. Book Two focuses on the Knowledge of God as Redeemer; it treats more earthly matters related to God's intervention in the world as Christ accomplished salvation for his people. Book Three describes The Reception of Grace, and Its Benefits and Effects. Here Calvin explained how the salvation that was accomplished in Christ is applied to individual people and what blessings and effects the reception of salvation brings to the lives of individual people. And Book Four focuses on even lower, more practical matters: the church, its sacraments, and its relation to civil government. So we can see then, that Calvin moved from higher celestial concepts to lower, more mundane ones. God as the great Sovereign over creation is dealt with first. Then God's intervention into history in Christ is second. The salvation of individual people is next. And finally, we find attention to practical, everyday Christian concerns. So, in terms of his endorsement of logic and theology from above, Calvin continued to follow the theological methods and priorities that had developed in church history prior to the reformation. In addition to recognizing the dependence of early protestant theology on earlier developments in theology, we should also point out that the same is true of the confessional heritage of Protestants. Protestants in different regions of the world produced a number of classical catechisms and confessions that summarized their faith. By way of example, consider the theology of the Westminster Confession of Faith written around 1647. As with earlier Protestants, it would be unfair to call Westminster theology strictly scholastic because of the importance placed on the teaching of Scripture. Still, it is true that the Confession was influenced by outlooks that characterized theology of the medieval period. The Confession embraces Aristotelian logic in the ways it relies heavily on technical terms, how propositions are the central form of expression, the ways careful syllogisms undergird the presentation of theology, and how it orders the topics of theology according to the priorities of theology from above. We can see a very important role for logic in the Westminster Confession of Faith . This is especially clear in chapter 1, paragraph 6. Listen to the way it puts the matter. The whole counsel of God concerning all things necessary for His own glory, man's salvation, faith and life, is either expressly set down in Scripture, or by good and necessary consequence may be deduced from Scripture. Notice here that everything necessary for God's glory and our salvation, faith, and life may be found in two ways. On the one hand, these truths may be expressly set down in Scripture. That is to say, the Bible teaches certain essential truths explicitly. But on the other hand, other important Christian doctrines may "by good and necessary consequence … be deduced from Scripture." This statement gives an enormously important role to reason or logic in protestant theology. As these protestant theologians did their work, they employed reason and logic to draw out the implications of Scripture. In this way, the Westminster Confession reveals a definite tendency toward the methods of earlier periods. Beyond this, the overarching structure of the Confession of Faith also reveals the priorities of theology from above. The chapters of the Confession follow this order: after an initial chapter entitled "Of Scripture," chapters 2 and 3 focus on the highest spiritual reality — God himself. Next, chapters four and five deal with the Creation. Then moving even further toward mundane or earthly subjects, chapters 6–17 handle humanity's fall into sin and subsequent redemption. Next, chapters 18–31 explain more practical issues of the Church and Christian life. Finally, chapters 32 and 33 address the end of world history. The theological priorities exhibited in this structure characterize many of the classical protestant confessions and catechisms. With these general tendencies of early protestant theology and classical protestant confessions in mind, we can see that modern systematic theology continues the same tendencies. By way of example, consider the systematic theology of Charles Hodge of Princeton Seminary who lived from 1797 to 1878. Throughout his systematic theology, Hodge gave reason and logic a central role as he employed traditional technical terms, relied on propositions, built his case with careful syllogisms and followed the priorities of theology from above. The man of science comes to the study of nature with certain assumptions. He must also rely on the certainty of those truths which are not learned from experience… every effect must have a cause; that the same cause under like circumstances, will produce like effects. Having described how the natural sciences were understood in his day, Hodge then added a word about systematic theologians. … The Bible is to the theologian what nature is to the man of science. It is his store-house of facts; and his method of ascertaining what the Bible teaches, is the same as that which the natural philosopher adopts to ascertain what nature teaches. So we see that although Hodge modified his understanding of reason and logic along the lines of modern science in his day, as a systematic theologian he stood in a long tradition of seeing reason and logic as vital tools for constructing theology. On the other hand, Hodge's Systematic Theology also followed the priorities of theology from above. A glance at his systematic theology reveals the overarching structure of his summary of Christian theology. His Systematic Theology begins with an Introduction followed by Part One which is entitled: "Theology Proper." There he dealt with the doctrine of God himself. Part Two is entitled "Anthropology" which moves down the scale of priorities to humanity. Next comes Part Three, "Soteriology," starting with the highest concept of God's work in Christ and moving down to the application of salvation to the lives of people, and then to the practical means of grace. And following the traditional order he completed his theology with Part Four, "Eschatology" — the last days. So we see that in every age, while faithful Christians continued to be submissive to Scripture, they also expressed the teachings of Scripture in ways that were appropriate for the changing Gentile cultures in which they lived. Now that we have traced how Systematic Theology developed as a major way of expressing Christian theology, we should turn to our third main topic, the values and dangers of systematic theology. In future lessons we'll look into these issues in much detail. So, at this point, we will limit ourselves to just a handful of broad concerns. To see some of the positive and negative features of systematic theology, we need to remember how we have described building theology in other lessons. You'll recall how we spoke of the fact that God has provided three main resources upon which we must draw as we build Christian theology: the exegesis of Scripture, interaction in community and Christian living. The exegesis of Scripture is our way of concentrating on special revelation and the other two resources focus more on God's general revelation in all things. Community interaction gives us access to a very important dimension of general revelation: the testimony of other people, especially other Christians. And Christian living draws our attention to other vital dimensions of general revelation — those things we learn through experiences of living for Christ, struggling with sin and walking in the Spirit. These three theological resources are the ordinary ways the Holy Spirit leads God's people to understand his revelation and to build Christian theology. You'll also recall that these major theological resources help us evaluate the levels of confidence we should grant to particular beliefs we have. As the witnesses of exegesis, interaction in community and Christian living are harmonious and weighty on a particular matter our level of conviction and confidence about that issue should normally grow. But, as these witnesses are disharmonious and of less weight our levels of conviction and confidence should normally be lessened on a given subject. Because the resources of exegesis, community interaction and Christian living play such important roles in building Christian theology, we can make some significant evaluations of the values and dangers of systematic theology by asking how systematics engages each of these resources. How does systematic theology enable and hinder our ability to use the three resources God has provided? We'll touch first on systematics in connection with Christian living; second, on systematics and interaction in community; and third, on systematics and exegesis. Let's consider first how systematics has both positive and negative effects on Christian living. The resource of Christian living can be described in many different ways and we'll explore how it works more thoroughly in future lessons. At this point, we'll give a brief snapshot of the resource of Christian living. In our study, we'll speak of Christian living as involving our sanctification, our growth in holiness, in three interrelated areas. We must be sanctified on a conceptual level, on a behavioral level and on an emotional level. In other words, our thoughts must conform to the will of God. Our actions must conform to the will of God. And our feelings must conform to the will of God as well. We've spoken of these three dimensions of Christian living as orthodoxy, orthopraxis and orthopathos. There are critical ways in which systematic theology enhances and hinders our ability to benefit from these three dimensions of Christian living. Let's look first at the more positive side, how systematics enhances Christian living as a resource for theology. On the positive side, systematic theology is particularly strong in the area of orthodoxy. It provides us with a systematic way of thinking, a conceptual framework for considering rightly the issues we face in our daily lives. As we seek to live for Christ day by day, we often face situations where we need to be able to draw from a logically coherent point of view, a consistent, stable view of God, the world around us and ourselves. Systematic theology is one of the most important ways we can find such outlooks. When we only have disconnected beliefs, we're not well-prepared to assess our circumstances, to answer questions about our lives, or to make choices that honor God. I remember once visiting a friend in the hospital. He was very sick and in need of much prayer. But when I asked him if he was praying for God's help, he said, "No." I was shocked at his answer and asked him to explain why. So he told me. "I believe in the sovereignty of God. So, I know prayer can't make any difference." What had happened to my friend? Well, in many respects he had grasped a bit of Christian theology but treated it as the whole of Christian teaching. He understood rightly that God is in control of history; that God is utterly sovereign. But my friend did not know how to relate that fact to other truths of the Christian faith, like the instrumentality of prayer, the ways God uses prayer to carry out his sovereign purposes. God's sovereignty does not diminish the need for prayer, it's actually the logical basis for prayer. It is because God is sovereign that we pray. It is because he is in control that we turn to him for help. If God were not in control, we should turn to someone else for help. Had my friend understood these things, had he been better trained in systematic theology, had he understood the relationship between prayer and God's sovereignty he would have been much better equipped to live his Christian life during that trying experience. At the same time, as positive as systematic theology can be for orthodoxy, it can hinder Christian living when we expect too much from it. Systematic theology turns our attention to careful rational reflection on the Christian faith and this is very important. But we can become so preoccupied with putting our beliefs into a logical system that we ignore other dimensions of Christian living, especially orthopraxis, conforming our behaviors to the will of God and orthopathos, conforming our emotions to the will of God. For example, Christians who become heavily involved in systematics often lessen their attention to the practice and feelings of the Christian faith. They marginalize things like worship, involvement in the means of grace, service to others, and the intuitive and emotional leading of the Holy Spirit. They reduce Christian living to conceptual matters, orthodoxy, and eliminate more practical and personal dimensions of Christian living. Rational systematic theology is important, but our faith is not merely a system of doctrines. It is a practical faith that must be practiced and a personal relationship that must be nurtured. I can't tell you how many times I have dealt with this problem in the lives of theological students. I remember one student who had received calls to become the pastor of several churches. He was so frustrated because he didn't know how to make a choice. He told me, "I have studied systematic theology so much. But it does not help me in this practical matter of making one of the most important choices I will face all of my life." So I asked him, "How do you feel the Holy Spirit is leading you? Have you spent much time fasting about this choice?" "Why should I do that?" he replied. "I want to figure this thing out logically and systematically." Well, Christians who embrace the goals of systematic theology with a lot of enthusiasm often begin to ignore the practice of the faith and the personal ministry of the Holy Spirit. And this can severely hinder fruitful Christian living. In addition to enhancing and diminishing our ability to live the Christian life, systematics also has many positive and negative effects on interaction in community. In future lessons we will look more carefully into interaction in community, but at this point we will simply mention the major dynamics of this theological resource. It helps to think of interaction in community as involving three concerns: our Christian heritage, the arena of the Holy Spirit's work in the past, our present community, the arena of the Holy Spirit's leading in our contemporary Christian community, and our private judgment, the arena of the Holy Spirit's work in us as individuals within community. Christians interact with each other because we know that the church is the central arena within which the Holy Spirit ministers in the world. And Christ expects us to build our theology in concert with others who are filled with the Holy Spirit. Keeping these three areas of interaction in mind: heritage, present community and private judgment, helps us see how systematic theology enhances and hinders community interaction. On the one hand, one of the greatest values of systematic theology for community is the way it enables us to focus on Christian heritage, how Christians have understood and lived their faith in the past. Systematics constructs theology with an eye to the things the Holy Spirit has already taught the Church of Christ, paying attention to how great men and women in the past built theology. And because of this, it can greatly enhance our ability to interact with the Christian community of the past. In our day, most Christians view theology as something very personal. It appears that the highest theological goal for many Christians is to form theology that is true to themselves with very little regard for what other Christians have believed. Well, Christ does call us to be genuinely personal in our approach to theology in the sense that it must be authentic, and he wants us to engage it with our whole hearts. But approaching theology exclusively as a personal matter leaves us bereft of some of the richest resources God has given us for theology: the work of the Holy Spirit throughout the ages. Now, when believers today occasionally interact with others it's normally on the level of present community. We read books and listen to sermons and lectures given by people who are our contemporaries. Systematic theology, however, helps us turn our attention to the wonderful ways the Holy Spirit has led the church in the past. While it is true that systematics enhances our interaction in community in this way, at the same time, systematic theology is limited in the ways it opens us to interaction. When we take the traditional focus of systematic theology too far, it can lead us to irrelevance, ignoring what the Holy Spirit teaches the present community and how he informs our private judgment today. As important as the theology of the past may be, the church today faces new challenges and the Holy Spirit still teaches the church how to meet those challenges. I can remember seeing a friend of mine at church one Sunday morning. He was a member of another church across town, but he was visiting my church that day. So, I asked him, "Why are you here today? Don't you belong to another church?" His response was revealing. He said, "I use to love my church because the pastor taught us systematic theology. I have learned a lot about what Christians use to believe, but the longer I stay at my church, the more I feel like I am losing touch with life today." This is the kind of problem that often comes up when Christians become too enthusiastic about systematic theology. They give so much attention to heritage that they don't know how to address contemporary issues. Systematic theology often hinders us from paying attention to present community and private judgment. As important as it is to consider how systematic theology equips us for Christian living and community interaction, it also has significant influence on our exegesis of Scripture. In future lessons, we'll look into exegesis in more detail, but at this point we should point to the main ways the Holy Spirit has taught the church to interpret the Bible. It's helpful to summarize them in three basic categories: literary analysis, historical analysis and thematic analysis. Each of these approaches makes unique contributions, but each is also dependent on the others. So, as we assess the value and limitations of systematic theology for exegesis, we should touch on how it relates to all three of these approaches to the interpretation of Scripture. Literary Analysis. Literary analysis is an approach to exegesis that looks at the Bible primarily as if it were a picture, or a painting; we look at it as a literary work of art. This kind of exegesis has been emphasized a great deal in recent decades. Broadly speaking, literary analysis seeks to understand the Bible as a document designed by human writers to influence their audiences through conventional literary means. In literary analysis much attention is given to questions like: "What were the concerns of the human writers?" "How do the literary features of a passage convey the writer's message?" And "How should the Scriptures have impacted their original audiences?" Historical Analysis. Historical analysis is an approach to the Bible that has been characteristic of the modern period, beginning with the enlightenment and ending only in recent decades. During this period, understanding the history to which the Bible refers has been the central concern for biblical exegesis. Historical analysis approaches the Bible not so much as a literary painting or portrait, but as a window to history. Now, sound historical analysis never ignores other approaches, but its primary purpose is to look through the Scriptures to learn about the history that lies behind the text. In certain forms of historical analysis, Christians ask exegetical questions like these: "What acts of God are reported in the Scriptures?" "What was their ancient significance?" "How were these acts of God connected to other acts of God before and after?" By and large, the primary focus of historical analysis has been to reconstruct what happened in biblical history and to understand the significance of those events for people living in those times. Thematic Analysis. A third major strategy that the church has taken toward exegesis, may be called "thematic analysis." Thematic analysis has always been one of the ways Christians derive theology from the Bible, but thematic analysis was strongly emphasized in the early centuries of the church before the shift toward historical analysis during the modern period. In thematic analysis we look at the Scriptures not so much as a literary portrait or a window to history, but as a mirror, a way of addressing questions, topics, or themes that are important to us, even if they are not prominent in the Bible itself. We ask questions like, "What does the Bible say about our interests?" "How does it meet our needs?" "What does it say about themes that we value?" These themes may come from personal concerns; they may come from issues raised by the cultures around us, or they may come from our church communities. Whatever the case, faithful Christians have always wanted to know what the Scriptures teach about the themes or questions that are important to them. With these three exegetical strategies in mind, we're in a position to see how systematics enhances and hinders exegesis. In the first place, systematic theology is well equipped to enhance thematic analysis. Systematic theologians give us a set of traditional questions to ask, a well ordered set of themes. 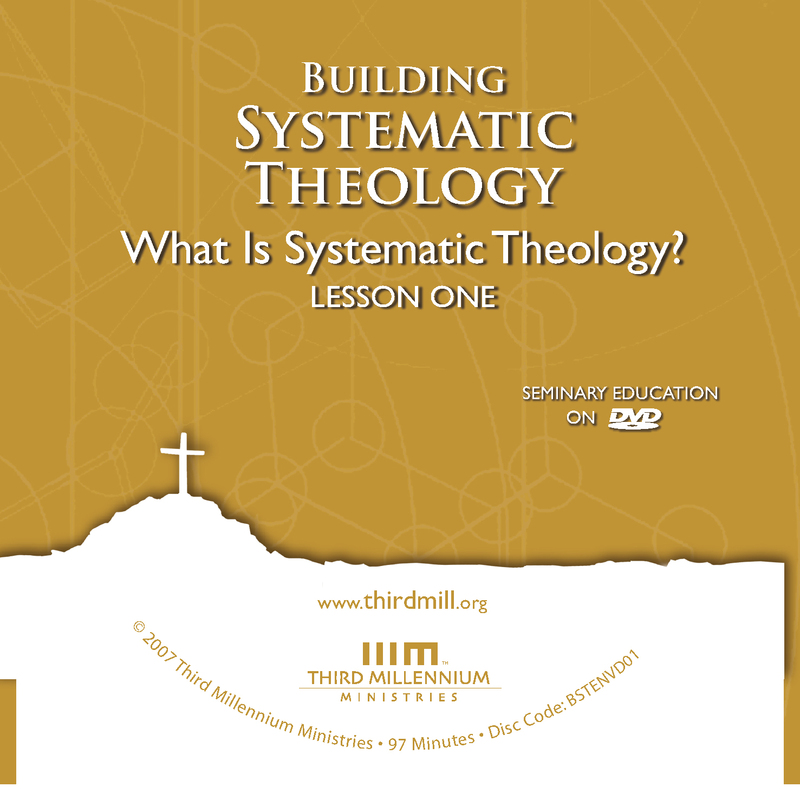 Systematic theology represents a very helpful form of thematic analysis. Systematicians explore what the whole Bible says about traditional theological themes. They collate verses from all over the Bible and draw out the interconnections between these verses as they relate to traditional topics. This process of collating and combining different verses into a whole helps us avoid treating one thing the Scriptures say about a topic as all that they say on that topic. We want to know not just what one verse says about God but what all the Scriptures say about God. What do they all say about humanity? What do they all say about salvation? Systematic theology is of great value because it helps us find biblical perspectives on these and many other crucial themes. On the other hand, systematic theology often hinders exegesis because it does not focus on literary and historical analysis of the Scriptures. Of course, systematicians who are good interpreters of the bible will always look at the Bible as literature and history to some degree. Yet this is not the main way they approach the scriptures. For this reason, when systematic theology dominates our approach to interpreting the Scriptures, it places limitations on what we derive from the Bible. And as we will see in future lessons, the discoveries of literary and historical analysis often compel us to adjust the conclusions of systematic theology. So we see that in general terms, systematic theology has both values and dangers for building a Christian theology. It contributes to Christian living, interaction in community and exegesis in some remarkably positive ways. But it also draws our attention away from important dimensions of each theological resource as well. It's crucial that we keep both the values and dangers of systematic theology in mind. In this lesson we've explored the question, "What is Systematic Theology?" We've seen how systematic theology compares to the New Testament. We've seen how it developed through the history of the church. And we've seen some of the values and dangers of systematic theology. Learning how to put our beliefs in order by building a systematic theology is one of the most important things followers of Christ can do. Taking the teachings of Scripture and putting them in a logical systematic arrangement according to the longstanding traditions of the church will enable us to build a fuller Christian theology that honors God and equips us to be more effective servants of the church of Christ.